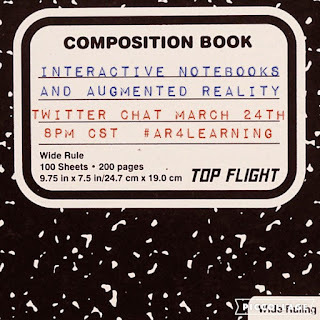 As I prepare for this weeks #AR4Learning Twitter chat I decided to create a few examples of how teachers could augmented their foldables for their students' Interactive Notebooks. You can use Interactive Notebooks for any subject I have chosen to create an example for American History. For this foldable I created 2 augmented triggers. The 1st one is the map. 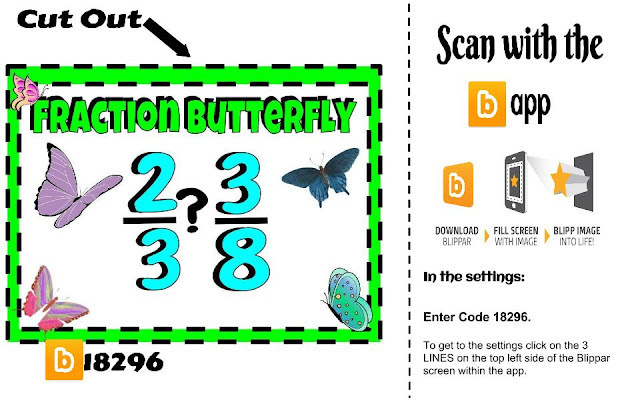 What you are going to do is print out the two sheets for this foldable. You will also need 1 blank copy paper. You are going to fold the blank copy paper like a hamburger. With the fold at the top fold the blank paper again like a hamburger so that there is a crease in the middle of the blank paper. Unfold the last fold. With the 1st fold at the top glue the map to the front of the blank paper. Cut the map on the crease you made (to make 2 flaps). Do not cut the back page, just through the map. Next: Cut out the two rectangles. One has Lewis & Clark and the 2nd one has the words "Louisiana Purchase". Glue down the two rectangles in the inside of the blank paper, so that when you lift the flaps you will see each rectangle. Now attach your foldable to your Interactive Notebook. Next: Have students describe territorial expansion and how it affected the political map of the US, with emphasis on the Louisiana Purchase and the Lewis and Clark expedition, filling in the two rectangles. To activate the augmented content you will need the Blippar app. With in the app you will need to enter the code 23530. You can do this by tapping on the 3 lines at the top left of the screen. Select "Settings" then select "Enter Code" and type in 23530. After you have enter the code tap on those 3 lines again and select home. 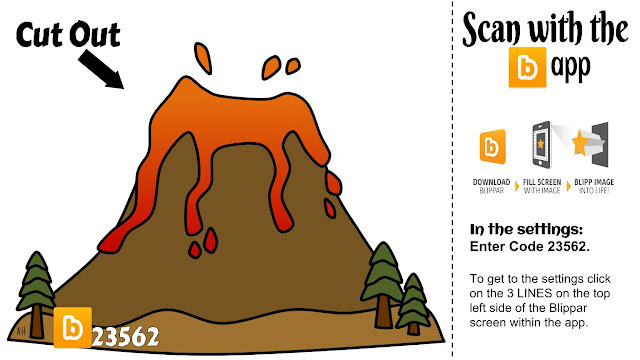 Tap the screen and then scan the map. When you are done with the video clip tap "Done". Now scan Lewis & Clark. The Lewis & Clark trigger has several interactive parts. Try them all out! I've included a quiz from Scholastic. I would have students interact with the augmented content before I had the describe the territorial expansion in the rectangles of the foldable. My all time favorite augmented trigger hands down are the 360° environments. I love the way you can immerse yourself into the environments. 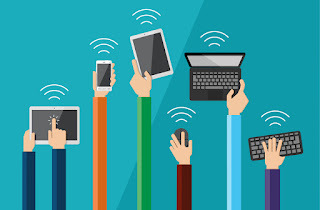 You can literally bring the world into your classroom using these augmented triggers. 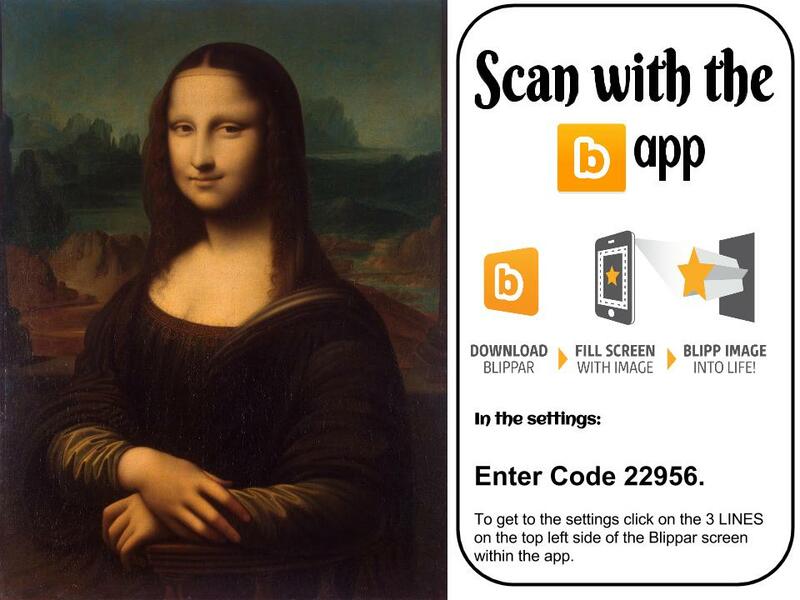 Blippar have recently made a few improvements to their BlippBuilder as well as their app. You can now create your own 360° environments. Just think of all of the possibilities. 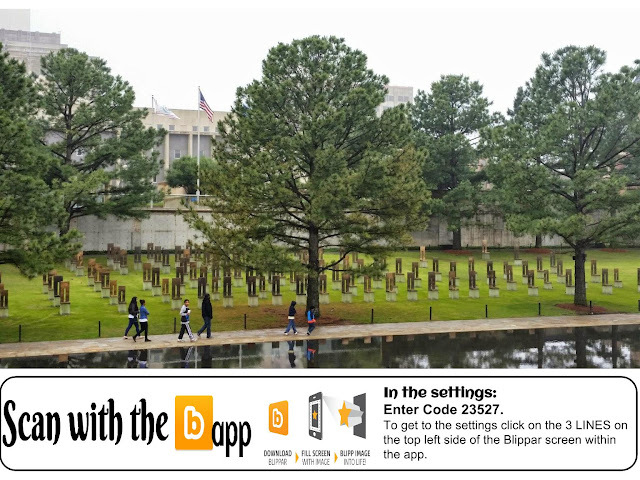 I recently visited the Oklahoma Memorial and decided to give this new feature a whirl. Keep in mind this was my 1st attempt at making my panoramic photo into a 360° experience. I followed the instructions that Blippar posted and things didn't quite line up but I am still pretty impressed. I foresee tons of educational 360° coming your way the more comfortable I get at creating them. For me augmented triggers need to be interactive in some way. 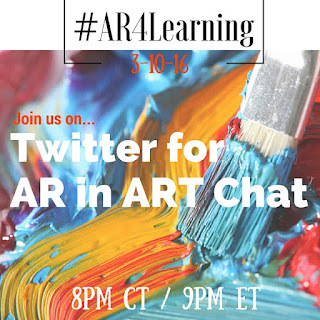 As I am preparing for our Twitter Chat on March 10th using Augmented Reality in ART I wanted to include just more in the conversation than just painting, pictures, and such. I wanted to also open the world to augmented triggers that contain music. This trigger when scanned with the Blippar app, don't forget to enter the code 22956 into the settings within the Blippar app, will bring up the song The Farmer in the Dell. After the song is over click on "Done" at the top of the video. There will be 3 interactions for kids to play with. One kids will match the mother animal with the baby, the other is dot to dot that will make an animal while the 3rd is a fun game. There are many ways I could have gone with this trigger. I could have had the image itself come to life and teach the kids facts about animals. I could have included links to animal websites or a live stream of an animal in the zoo. I could have also included an audio clip to auto play instead of a video clip. 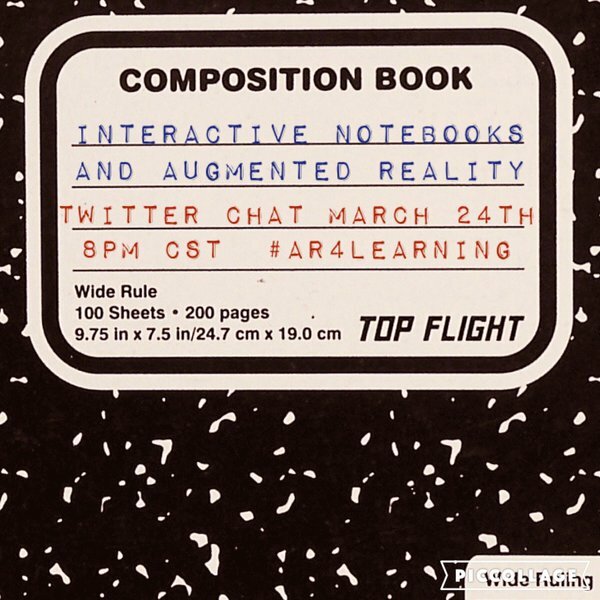 With augmented reality there are millions of ways to connect the triggers to what your students are learning. Students can also create these fun educational triggers to showcase what they have learned as well. 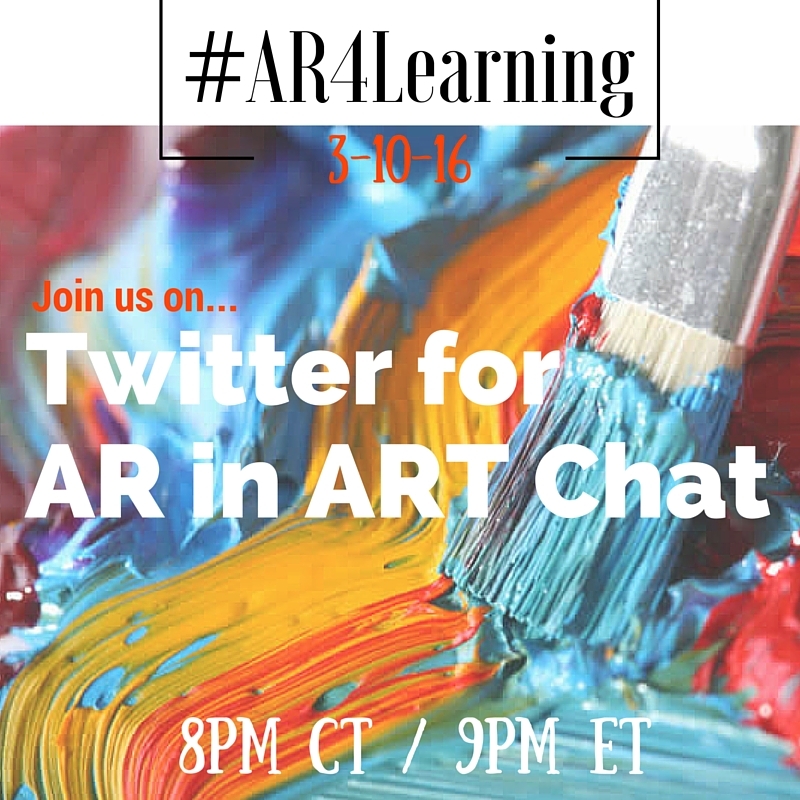 Join us on March 10th at 8pm central time on Twitter by following the hashtag #AR4Learning as we chat more on how we can use augmented reality with art. Augmented reality can bring life to art. Not just the classics such as Mona Lisa but student art as well. What you will find when you scan this Mona Lisa with the Blippar App is an example of adding interactive augmented content to a classic image. 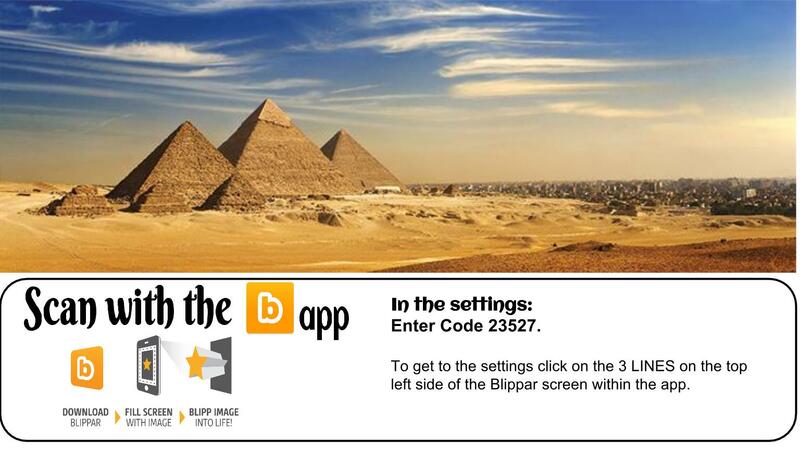 To activate the augmented content you will need to download the Blippar app. Then click on the 3 lines within the app that is located at the top of the screen. Select settings, then select "Enter Code". Enter the code 22956. 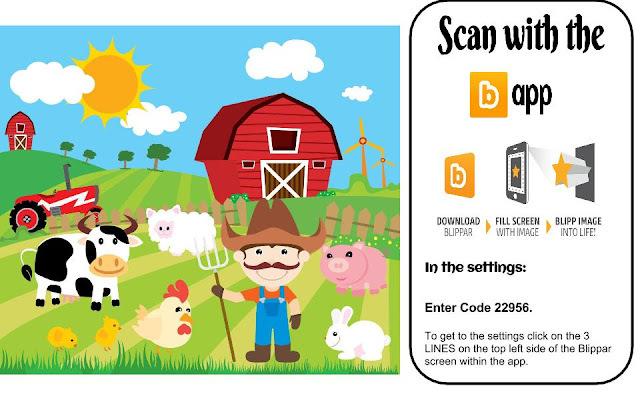 Once you have enter this code you can scan this image. 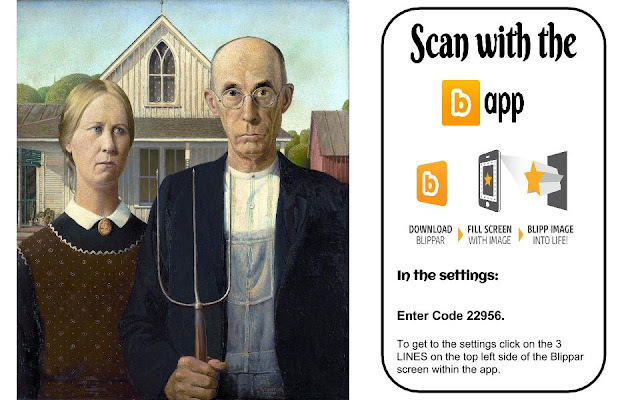 You may have to tap the screen to activate the scanning option. A video will auto play. After the video is down playing you can click on the "Done" option at the top of the video. The picture will come to life and start to talk. I have also included a link to the History Channel website.